I have games about the human body, and books like Blood and Guts, which have lots of fun experiments about the human body. (It does contain evolution.) I also have coloring books of the human body, and diagrams to color for younger children. You also see I have different models, like the human heart. 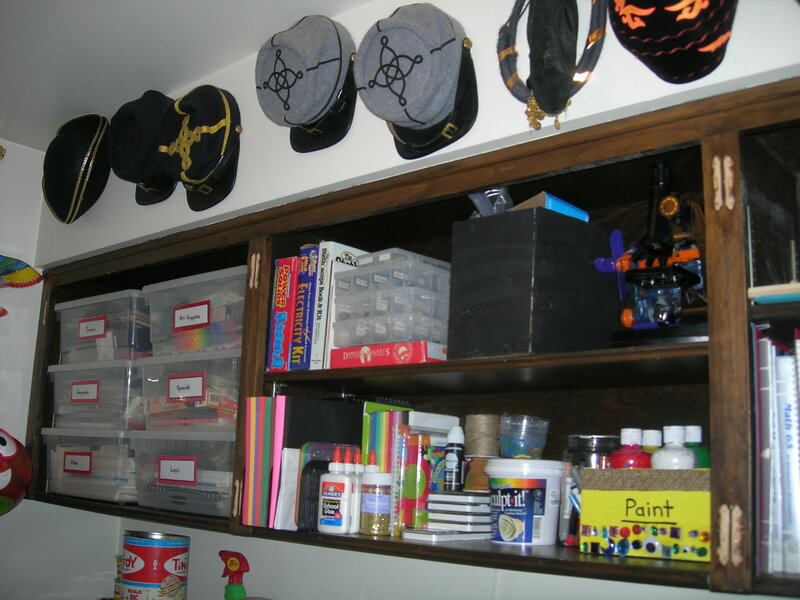 This is a small sample of my 2-hour video workshop, Organizing for a Fun Homeschool, where I show you every room in my house, and how I organize it for fun homeschooling. This entry was posted on Monday, August 30th, 2010 at 7:39 am	and is filed under Homeschooling, Organization. You can follow any responses to this entry through the RSS 2.0 feed. You can skip to the end and leave a response. Pinging is currently not allowed.